In the step by step course, I’ll first take you through how to play each section, all over the neck. 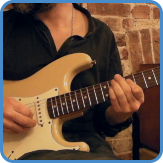 There are four lessons and seven videos as well as TAB, and loops to practice along to. 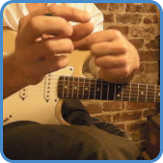 Step by step, you’ll learn not just how to play the song, but also map out the fretboard with barre chords and pentatonic scales. After practicing all sections individually, I play the full song from beginning to end, in an improvised way and give you the TAB for it. This way you can see all the ideas and concepts applied. The final stage is for you to play with the band. The chord progression is played in the key of Bb. 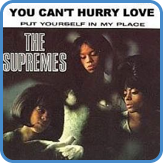 The best thing ‘You Can’t Hurry Love’ teaches you is to maintain a repetitive rhythm as the chords change. By playing the same rhythm for every chord, you create a meditative part which is really easy for the listener to absorb. Essential for songs that are going to be played on the radio for decades to come. As you practice the song, ensure that all transitions between the bridges and choruses are played with authority. If you can play the song in an improvised way, meaning, you change the chord shapes as you go along, still maintaining the set rhythm, you are on your way to mastering the guitar fretboard. The best way to achieve this is to play along with the live band backing track loops that you get in the course. For complete lyrics, go to You Can’t Hurry Love lyrics. 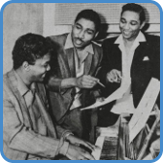 Lamont Dozier and Brothers Eddie and Brian Holland was Motown’s main songwriting team in Motown’s hit factory during the 60s. 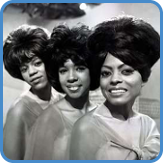 Their hits are so many and their influence is so great it is a mystery how their names are not more widely known. To find out more, go to Holland-Dozier-Holland biography. These Motown/Soul songs require you to learn how to play fractions of barre chord shapes and build improvised licks using pentatonic scales. Learn how to play famous Motown & Soul songs. ‘Be My Baby’, ‘Can I Get A Witness’, ‘Get Ready’, ‘I Heard It Through The Grapevine’, ‘Jimmy Mack’, ‘Master Blaster (Jammin’)’, ‘Money (That’s What I Want)’, ‘My Guy’, ‘Rescue Me’, ‘Respect’, ‘Son Of A Preacher Man’, ‘Soul Man’, and ‘You Can’t Hurry Love’.